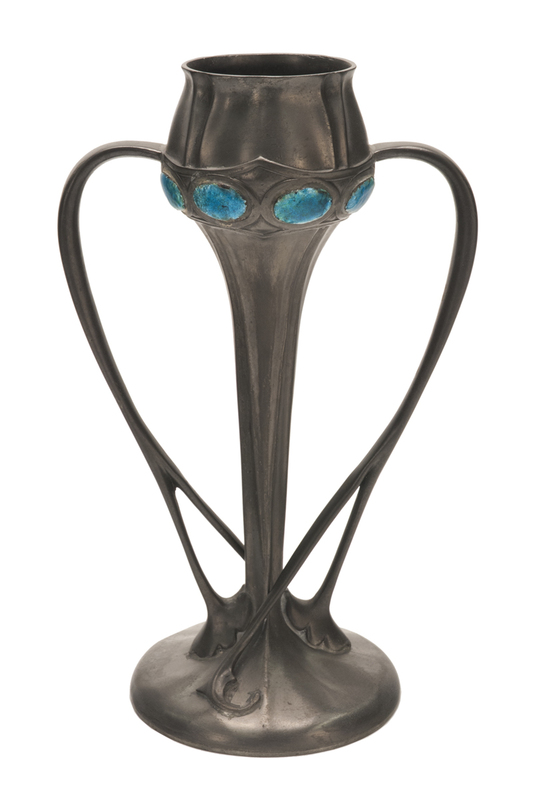 This tea set by Paul Follot employs motifs from nature, an important characteristic of Art Nouveau design. 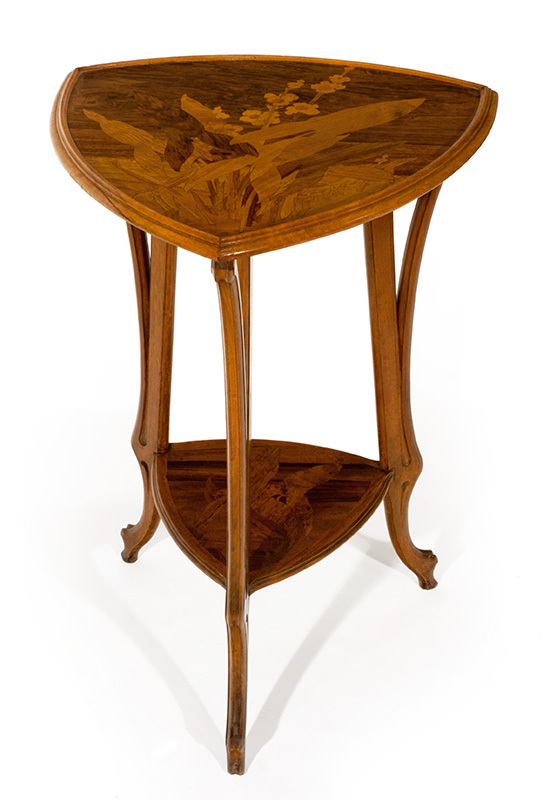 The tray in this set has two examples: the spray of blossoms at the base of the tray, and the curved lines above them, which match the scallop-shell-inspired lines on the other pieces in the tea set. 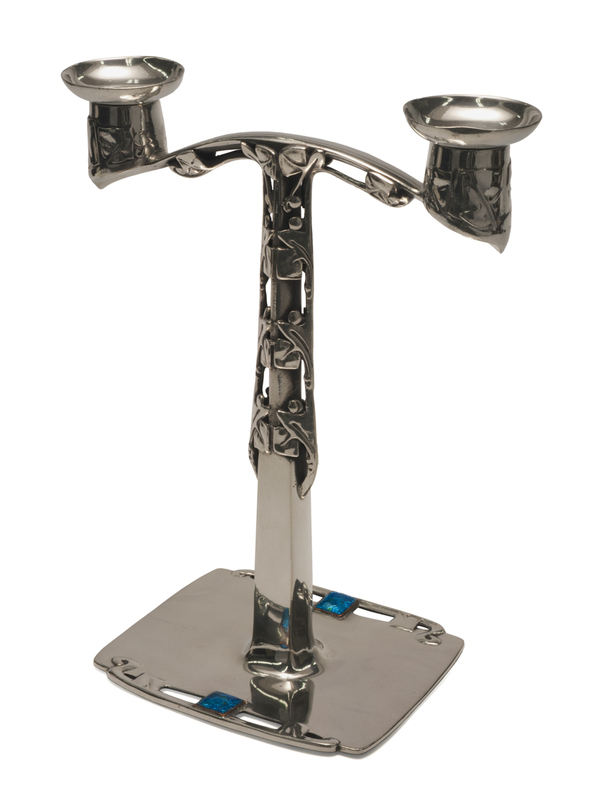 The handles of each piece are whiplash curves, also common to Art Nouveau style, which avoided straight lines. 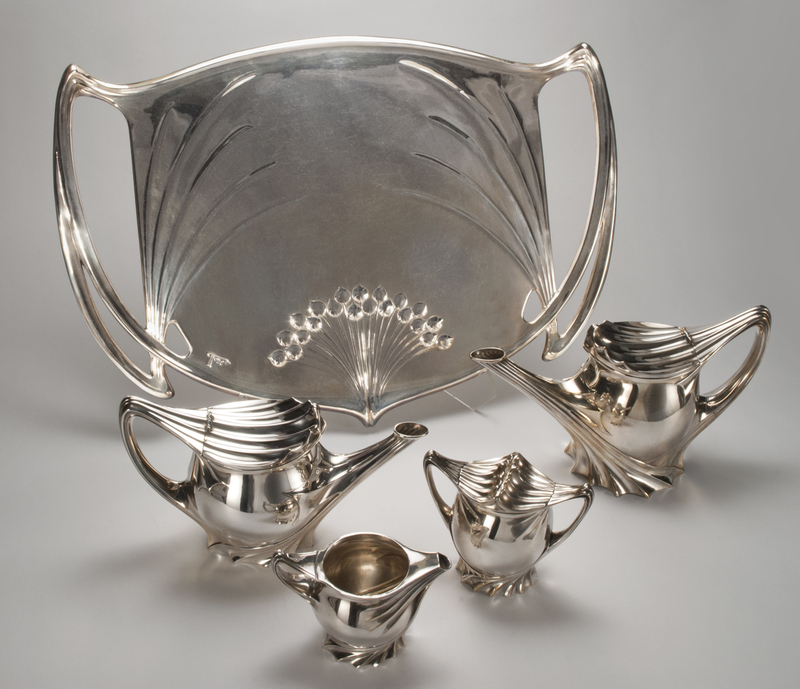 Though Follot often designed expensive, exclusive pieces, this tea set for F. W. Quist (a German metalwork company) includes mass-produced silver-plated bronze pieces. 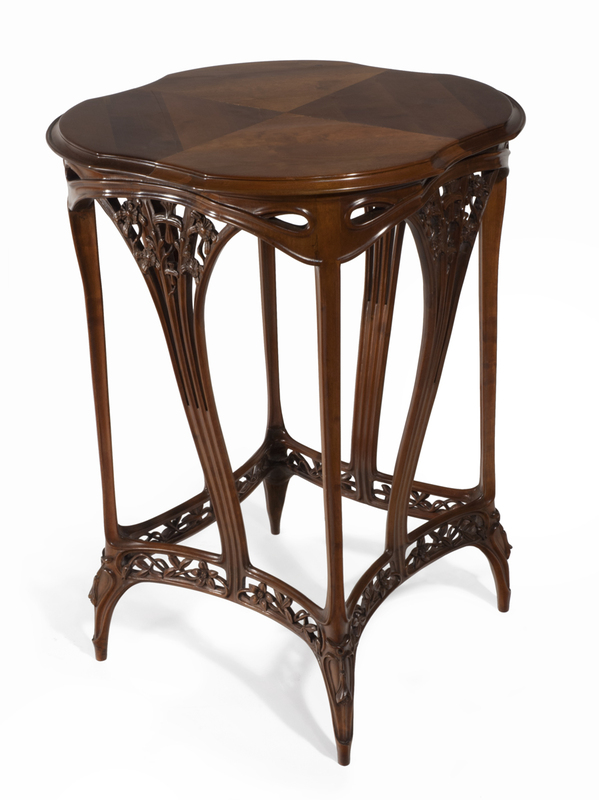 Follot later became a founder of the Art Deco Movement. Markings Impressed "P.W.Q.K." manufacturer's marks on bottom and "Follot" monogram, top lower left. Engraved on bottom is mark with three diamonds, first and third have "P.W.Q.K." Center has circular logo with stars and indistinguishable letters. Artist signature engraved on top of tray: "Follot.